Sydney is Australia’s largest, oldest and most cosmopolitan city and the place to discover both well-known and hidden attractions. But how do you discover the city in style and on a budget? We’ve got Sydney travel tips to help you get the most out of the city. Considered one of the world’s most beautiful and liveable cities, Sydney has it all – from beaches to cool neighbourhoods and world renowned sights. Flights to Australia, especially from Europe, can be among the most expensive you can buy. Fortunately you have a large choice of airlines when flying into Sydney, compared other Australian cities. Take off from mid-April until late June for the better flight prices, although this will be late autumn/early winter in Australia. Alternatively flying out on Christmas Day or New Year’s Eve can also secure bigger discounts. Booking up to a year ahead is always a good idea, but with flight sales a regular event, sign up to newsletters from the likes of Qantas, British Airways and Flight Centre to keep updated on upcoming sales. 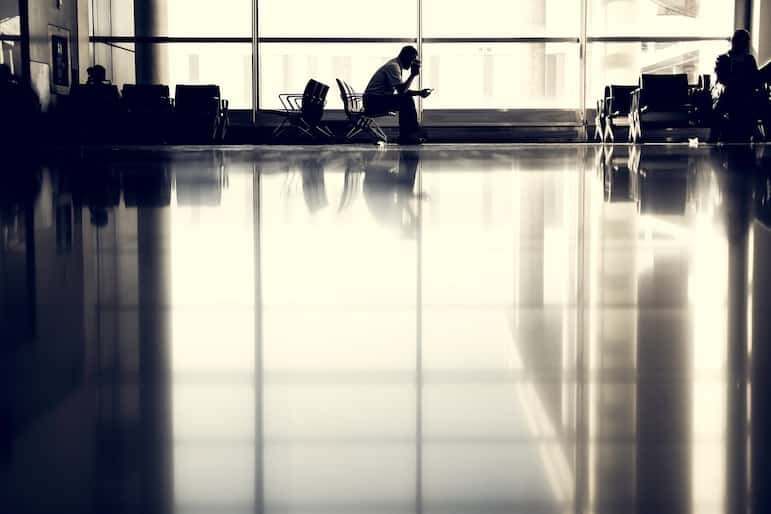 Do not underestimate the length of the journey to Sydney – 20 hours or so is a very long time to spend in the air so make your journey as comfortable as possible. Consider upgrading to premium economy or business class with Qantas, or flying business class on a Dreamliner – known for their comfort and space. 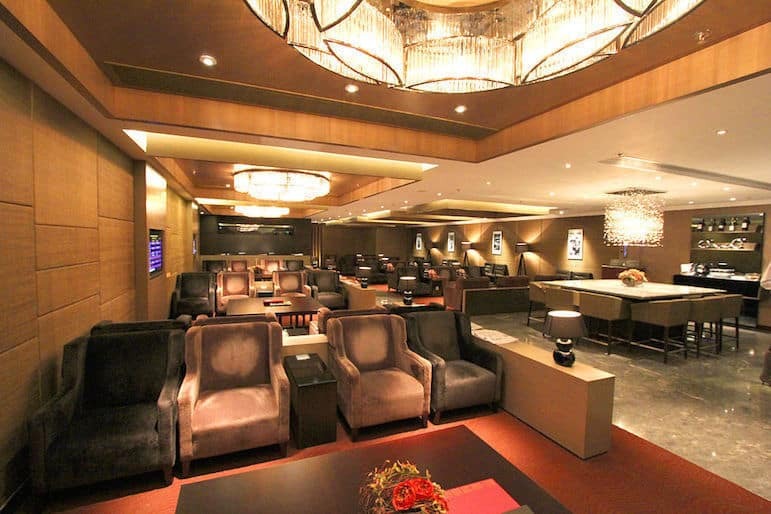 When travelling long haul, access to an airport lounge is before your flight makes all the difference. Priority Pass is one of the world’s leading lounge access programmes, available in more than 900 airport lounges across the globe. An option for all travellers, regardless of the airline or class you fly, it’s perfect if you can’t quite stretch to business class but still want to enjoy the luxury perks that come with it. There’s no need to pre-book, so it’s flexible as well as great value. 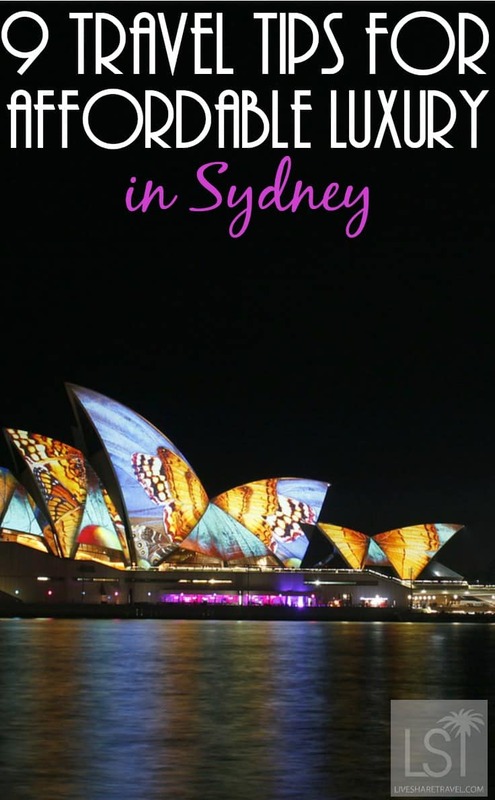 The Sydney Opera House is usually high up on the list of things to see and do in Sydney. Time your visit for the best views of the world famous landmark and see it during one of the city’s festivals and events. 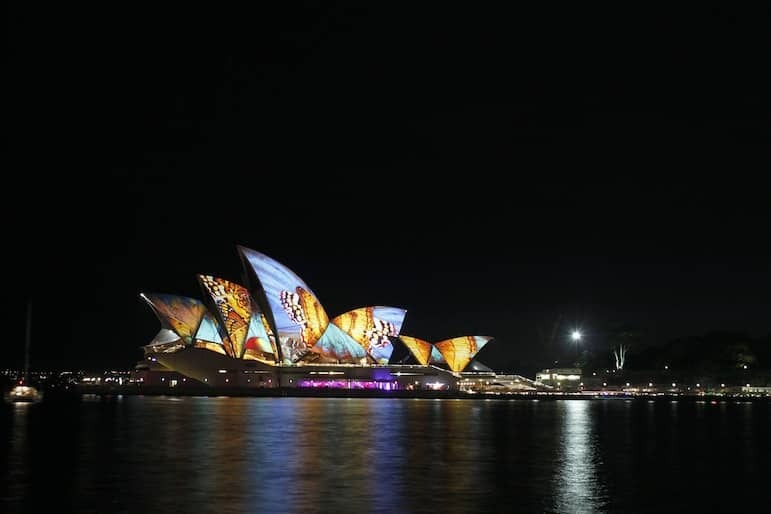 For an all-round experience of light, sound and entertainment, Vivid Sydney is an 18-day festival of light, music and sound held annually between May and June. Much of the festival is free and features stunning light projections, musical performances, talks and creative workshops. 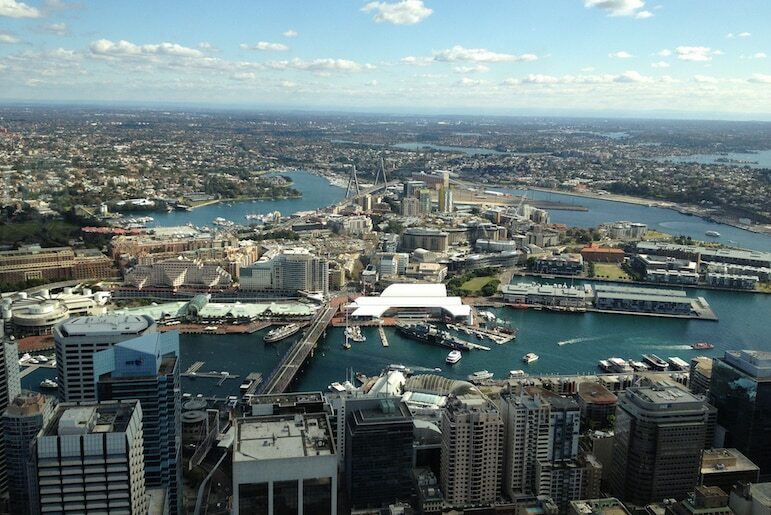 The Sydney Tower Eye offers the perfect vantage point to get your bearings. Twice the height of the Sydney Harbour Bridge, you will get a true sense of the city’s scale. Visit the observation deck just before sunset for 360-degree panoramas from day to night time. With views from Sydney Harbour to the Blue Mountains far in the distance, you can also upgrade to the Skywalk experience to step outside the glass. Sometimes it’s nice to leave your options open when you travel. However, to make the most of your trip and take advantage of the best savings, check out local discount websites for attraction tickets and dinner deals in advance. It’s also a great way to research things to see and do in Sydney as a local. Plus you can save more than 50% on activities including whale watching tours, harbour cruises as well as wine tours and tastings. 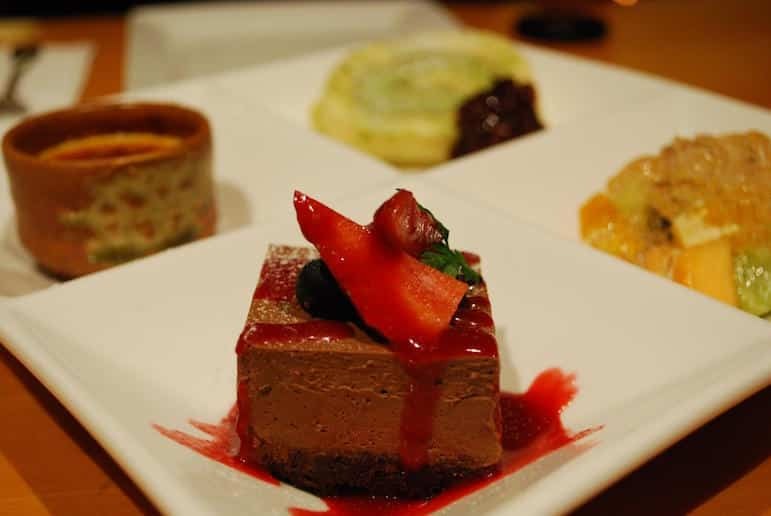 There are also a multitude of offers for breakfast, lunch and dinner across the city in some of the finest restaurants for you to create-your-own culinary adventure. Websites to check out for deals and discounts include Groupon, Scoopon, All the deals, and Cudo. Getting around Sydney is easy with the city’s smart card system, Opal. Available for use on trains, buses, ferries and light rail within the Opal network, they offer some of the lowest fare options in the city – you just top up your card (minimum of $40) and swipe when you board and exit a vehicle. 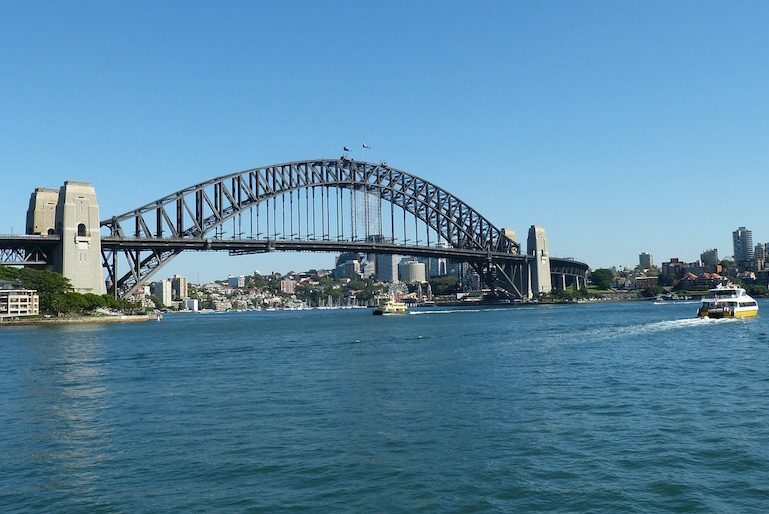 Travel by water for the best views of Sydney Harbour. The F4 ferry service travels from Darling Harbour to Circular Quay, taking you right past the Opera House and underneath the bridge, giving a unique perspective of these iconic sights. 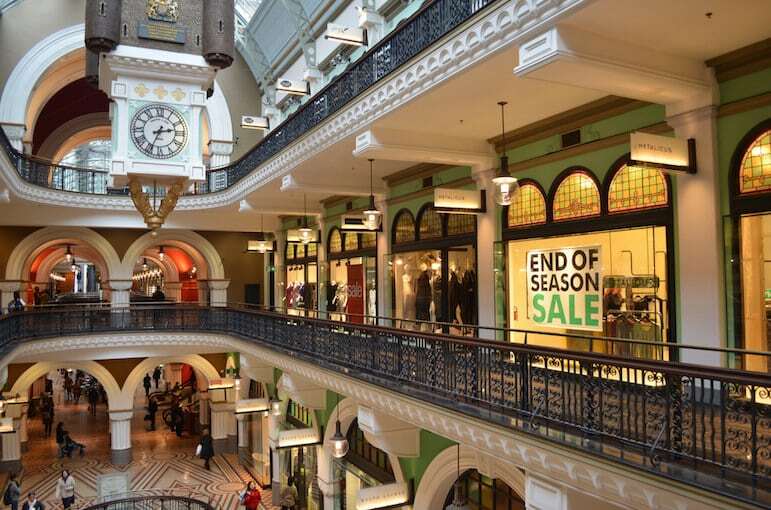 Sydney has some fabulous places for shopping, and beautiful surroundings to go with it. The magnificent Queen Victoria Building is a historic shopping complex home to international brands including Coach, Swarovski and Karen Millen. Westfield Sydney is perfect for unique Australian brands such as chic designer label Ginger & Smart and the decadent sass & bide. Before you head off shopping, visit shopping centre websites to discover their latest promotions. Sydney is the city for best-kept secrets. Book a boutique shopping tour to visit some of the city’s hippest neighbourhoods with Chic in the City. An insider’s guide to shopping, it’s a great way to pick up one-of-a-kind luxury goods at affordable prices. The appeal of Sydney partly lies in its ability to offer the best of both worlds, with the fast-paced city life mixed with the chilled out vibes of the beach. Bondi Beach is a huge hit, but to get away from it all make your way to the harbour and catch the ferry to Manly. 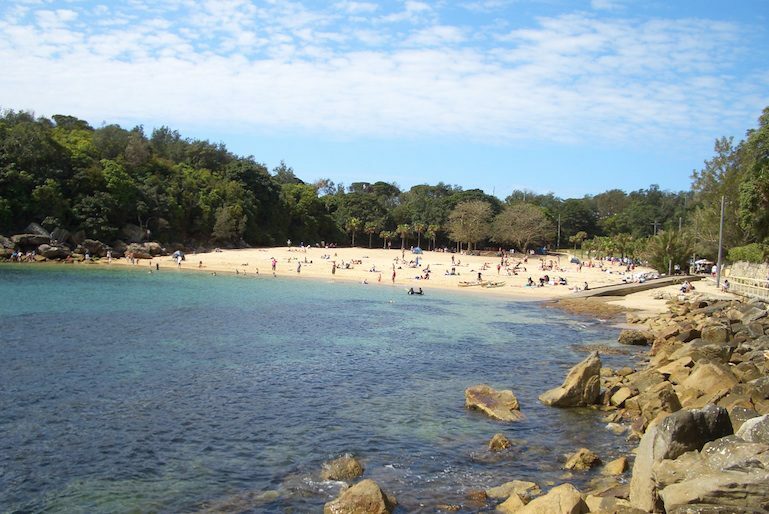 Here you have a mix of shores to choose from, but our pick is Shelly Beach. When you leave the ferry, turn left and keep walking until you can walk no further. The horseshoe-shaped cove has crystal clear and calm waters, which is ideal if you have children in tow. When hunger calls, The Boathouse is just 25 yards away and serves a wide range of breakfast and lunch options from toasted banana bread to seafood platters. The Rocks is a characterful spot. With cobbled laneways, cosy cafés and Australia’s oldest pub, you’ll discover fabulous places to stay, dine, drink and shop – as well as a packed events calendar. 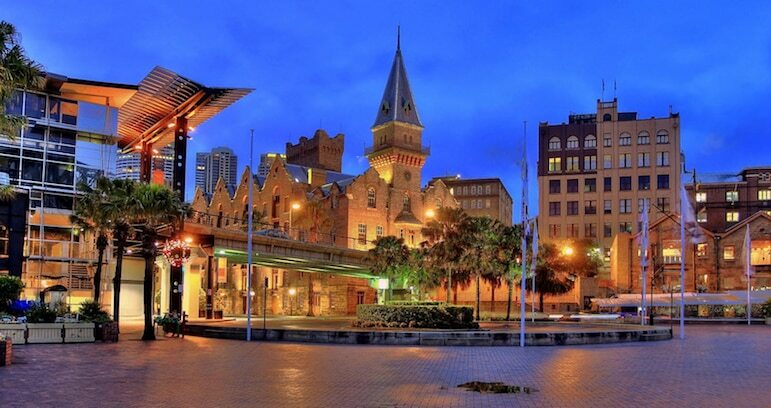 Visit The Rocks Discovery Museum to unearth Sydney’s history. The free museum charts the city’s story from when European settlers landed in 1788. Evolving from the rowdy settlement of convicts, soldiers, sailors and street gangs into the thriving, historic and chic area, it is today, it makes for a colourful back story. Other places to visit in the area are the Lord Nelson Brewery Hotel – Australia’s oldest pub brewery, and the Museum of Contemporary Art, where beyond the art and sculptures, the café presents a work of art of its own with sensational views of the harbour from its café. 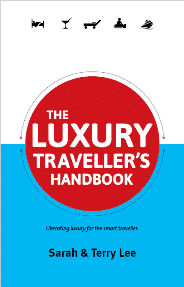 Want more luxury travel tips? Sign up to receive our monthly newsletter. It has regular offers and plenty of travel inspiration.